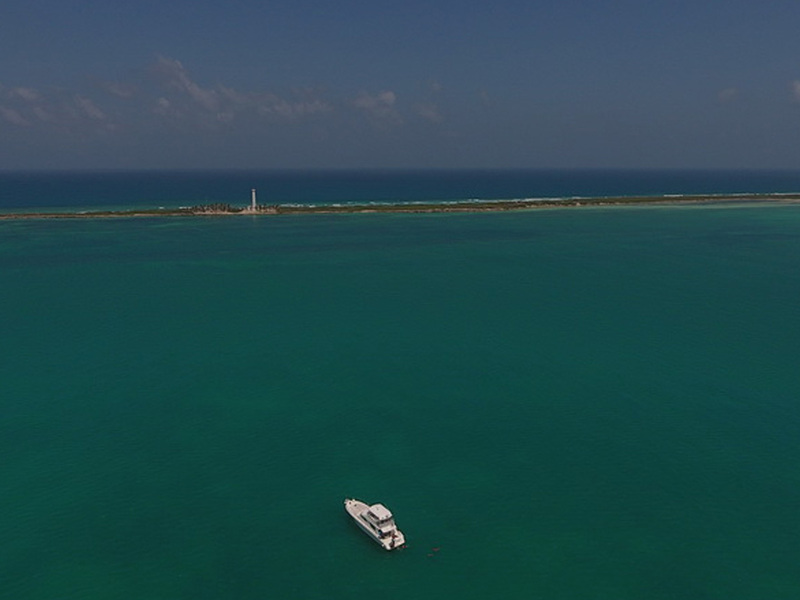 Enjoy yachting this beautiful coastline and Islands of Mujeres / Holbox / Contoy / Isla Blanca on your own private luxury yacht. 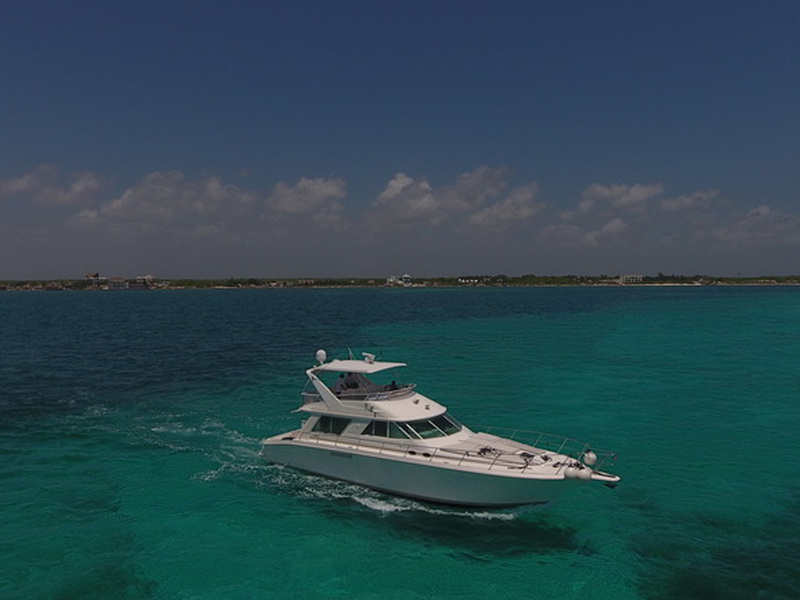 Rent this Motor Yacht for $350 per hour in Cancún, Quintana Roo. 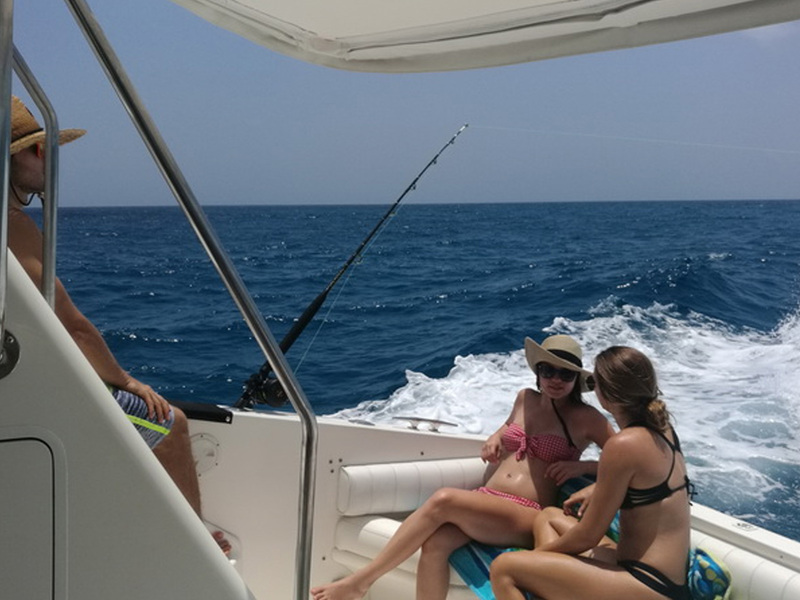 Include snorkel gear and other things to enjoy the calm water and relax. Chef aboard that prepare your preference of food paying provitions. It has 2 fully furnished cabins, one with a double bed and a private bathroom, and the other one with twin beds, one kitchen with a Frigo bar, microwave, a dining room, living room. On the outside, it has a dining room and space to seat under the shadow. 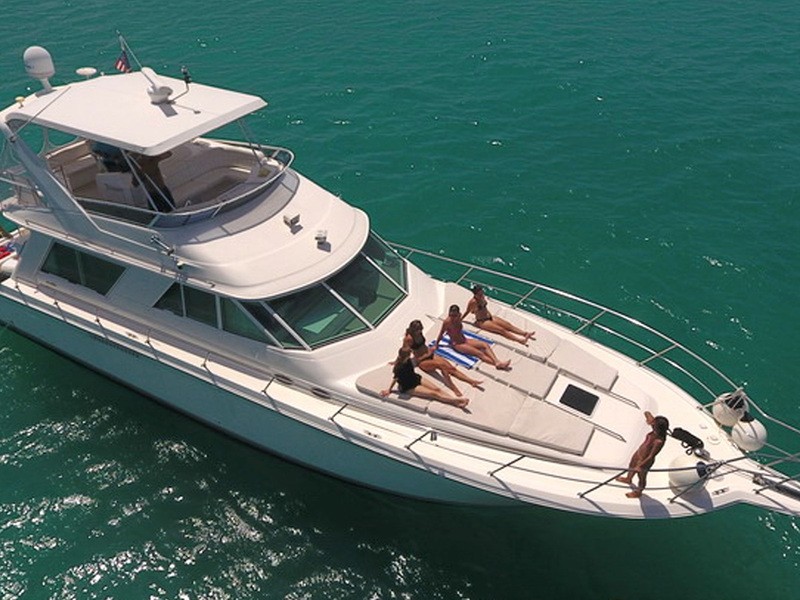 In the front of the yacht has a large space to relax feeling the Caribbean Breeze. 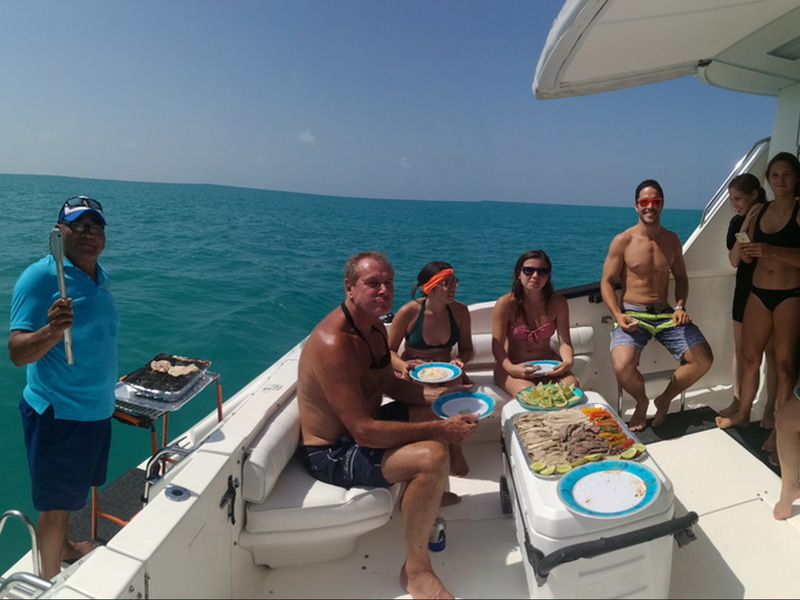 • We recommend you to visit our famous Islands and relax, ones you get to the Island the snorkel is always a good idea and if it's possible, go to a restaurant and try our delicious local food. 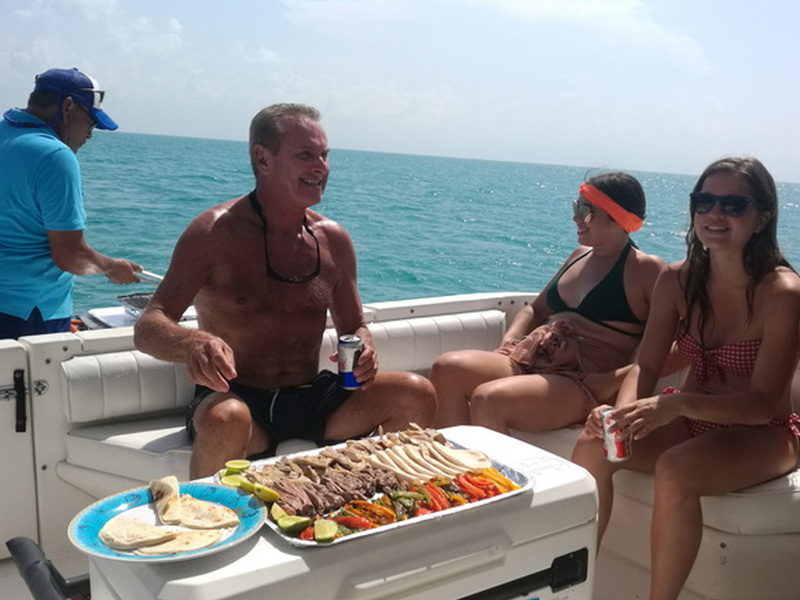 For tours to the Cozumel, Contoy and Holbox Island it would be additional charges for fuel and crew, the price will be estimated according to the distance of the destination chosen. 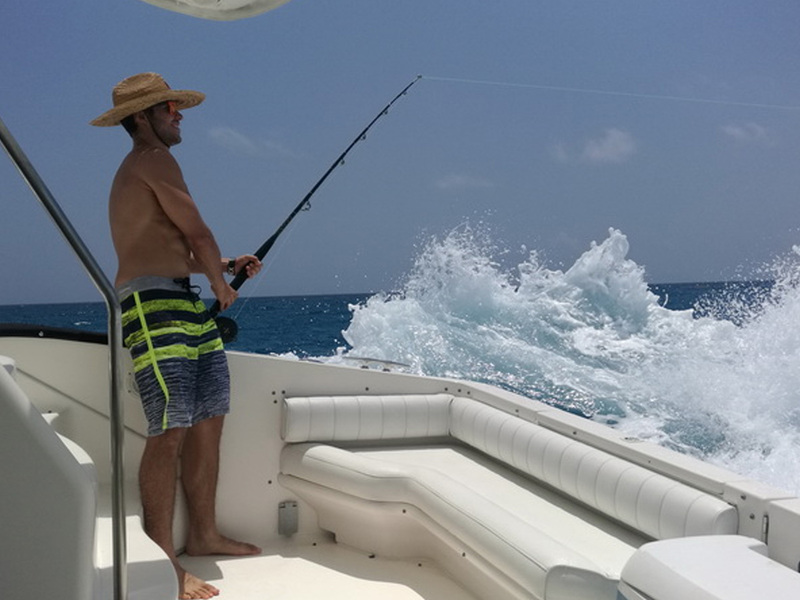 The Contoy Island is a protected national park that has an access fee, this will be paid by the client and must be paid before beginning its charter. • Catering: For any special occasion... such as romantic dinner, kids menu, corporate brunch, breakfast, brunch, gourmet meals and more. 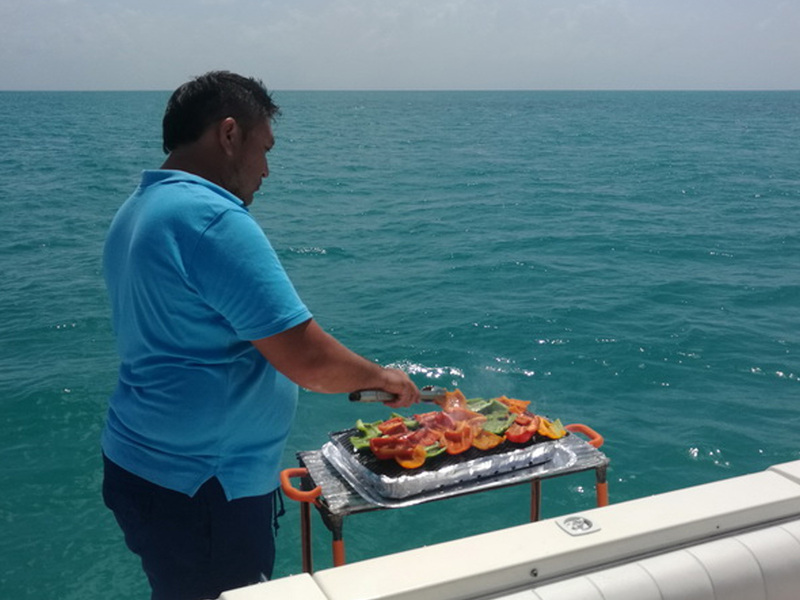 Our professional chef will take good care of you and your guests. • On board entertainment: If you want some music, we have DJ, live band, stand-up comedy and more. 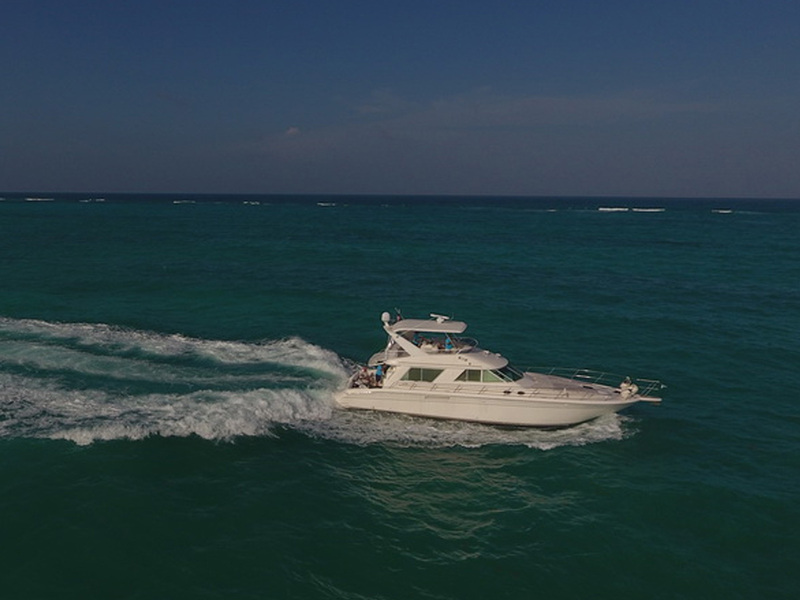 • In Mexico, it is not possible to rent a boat without a crew.